According to numerous studies, the textile sector is one of the most polluting on the planet. The conventional textile industry consumes enormous quantities of water and chemical products that end up being dumped directly into rivers, lakes and oceans. 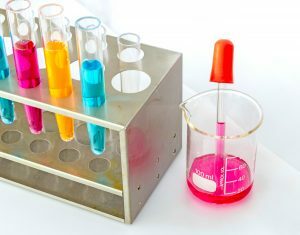 The dyes and synthetic dyes used by this type of industry are composed of highly toxic chemicals and are difficult to biodegrade. In addition, some of these substances are very harmful to living beings, as they can cause many diseases, including cancer. That is why, in Renaturis we wanted to be consistent and sustainable when it comes to making our eco-packaging, so we only work with 100% organic cotton fabrics certified by the GOTS standard. In this way we make sure to reduce these harmful practices and promote a cleaner, healthier and more balanced natural environment. 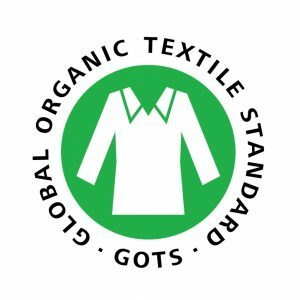 The aim of the standard is to define world-wide recognized requirements that ensure organic status of textiles, from harvesting of the raw materials, through environmentally and socially responsible manufacturing up to labelling in order to provide a credible assurance to the end consumer. The standard covers the processing, manufacturing, packaging, labelling, trading and distribution of all textiles made from at least 70% certified organic natural fibres. The final products may include, but are not limited to fibre products, yarns, fabrics, clothes and home textiles. The standard does not set criteria for leather products. 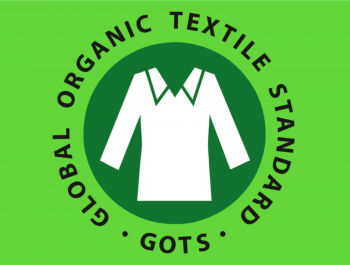 Organic fiber production is not directly covered by the GOTS certification system as GOTS does not set standards for organic fiber cultivation itself. Fiber producers (farmers) must be certified according to a recognized international or national organic farming standard that is accepted in the country where the final product will be sold. Organic production is based on a system of farming that maintains and replenishes soil fertility without the use of toxic, persistent pesticides and fertilizers. In addition, organic production relies on adequate animal husbandry and excludes genetic modification. 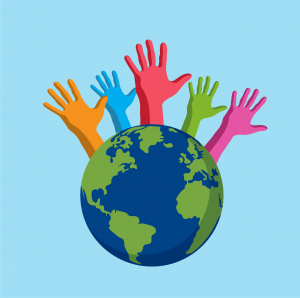 Social criteria based on the key norms of the International Labour Organisation (ILO) must be met by all processors and manufacturers. They must have a social compliance management with defined elements in place to ensure that the social criteria can be met. “Label-grade 1: organic”: minimum 95% certified organic fibres, maximum 5% non-organic natural or synthetic fibres. “Label-grade 2: made with X% organic”: minimum 70% certified organic fibres, maximum 30% non organic fibres, but a maximum of 10% synthetic fibres (respective 25% for socks, leggings and sportswear). The only differentiation for subdivision is the minimum percentage of ‘organic’ material in the final product. Blending conventional and organic fibres of the same type in the same product is not permitted. Previous article Do you know the regulations on plastic bags consumption in Europe? Copyright © 2019 Renaturis World. All Rights Reserved.